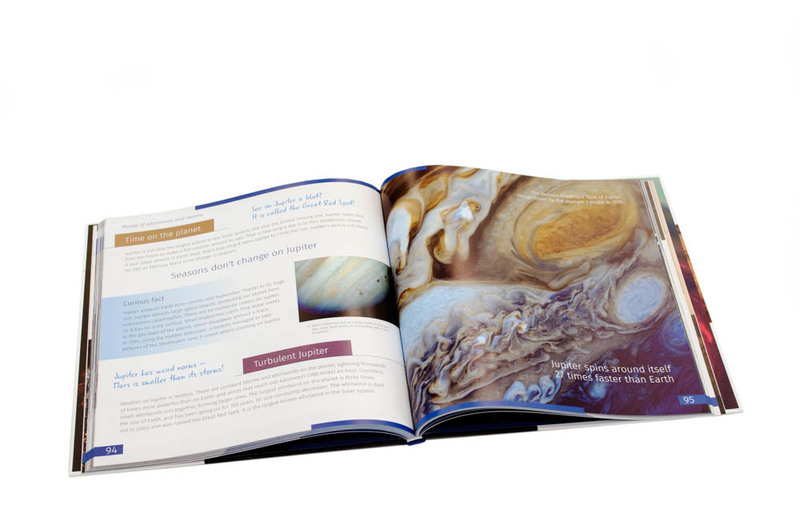 The knowledge book "Space. Non-empty emptiness" (read a sample) is a bright and informative book for children over 6 years of age. It will introduce a child to the mysterious and infinite space. 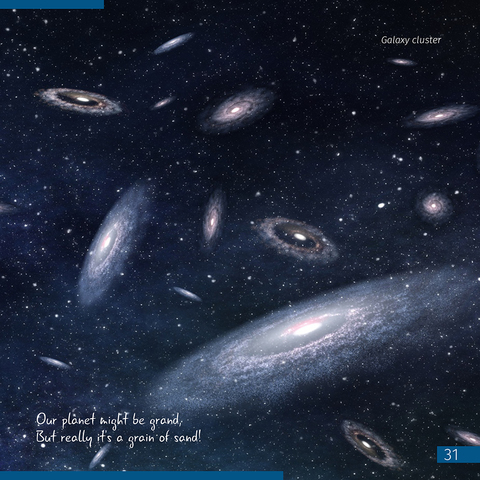 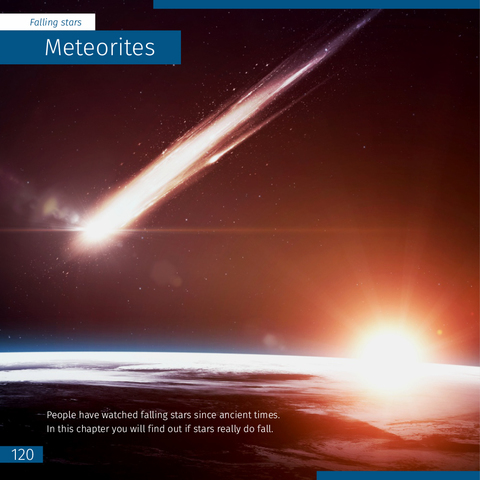 Each section of the book is devoted to a separate topic: the history of space exploration, telescopes, the Sun, the planets of the Solar System, meteorites, comets, nebulae and galaxies. 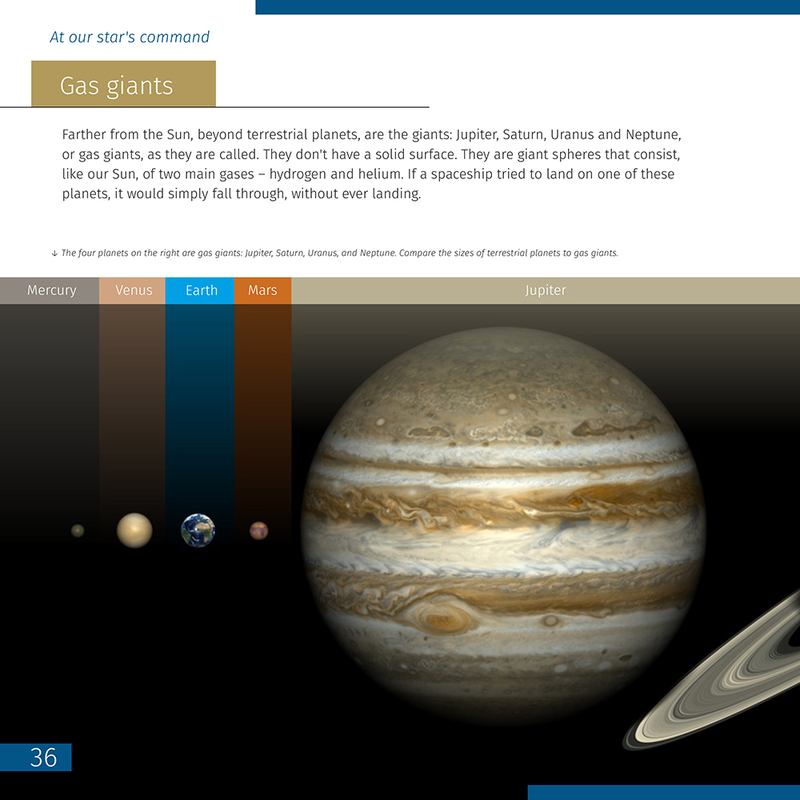 The structure of the Solar System is fully revealed. 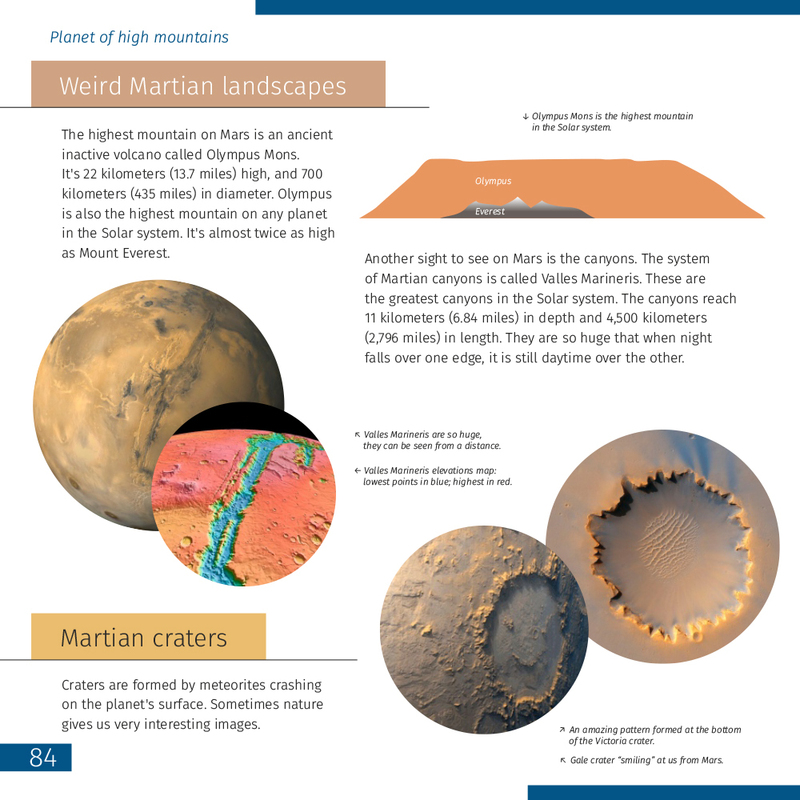 Each planet is described in detail: curious facts, interesting discoveries, all about the satellites, and features of each planet. 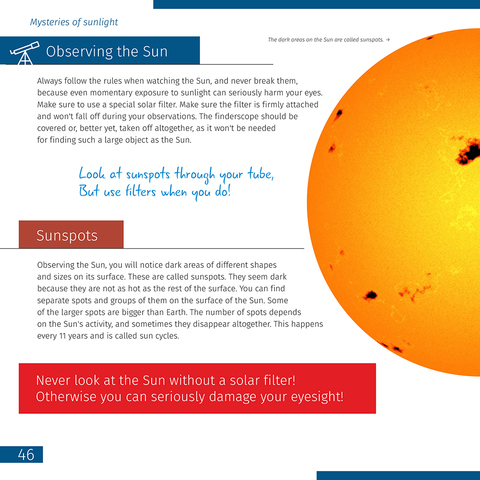 The text is easy to read and understand. The book is supplemented with colorful illustrations. 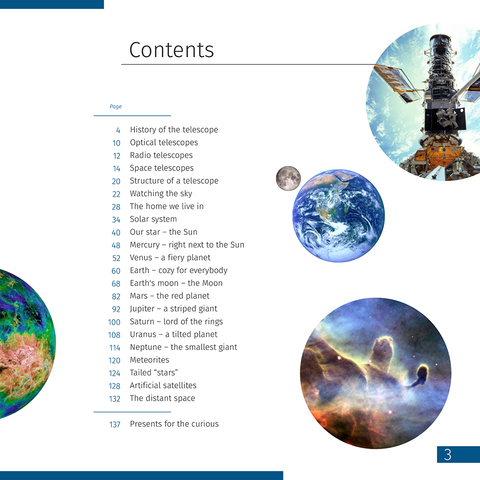 The knowledge book "Space. 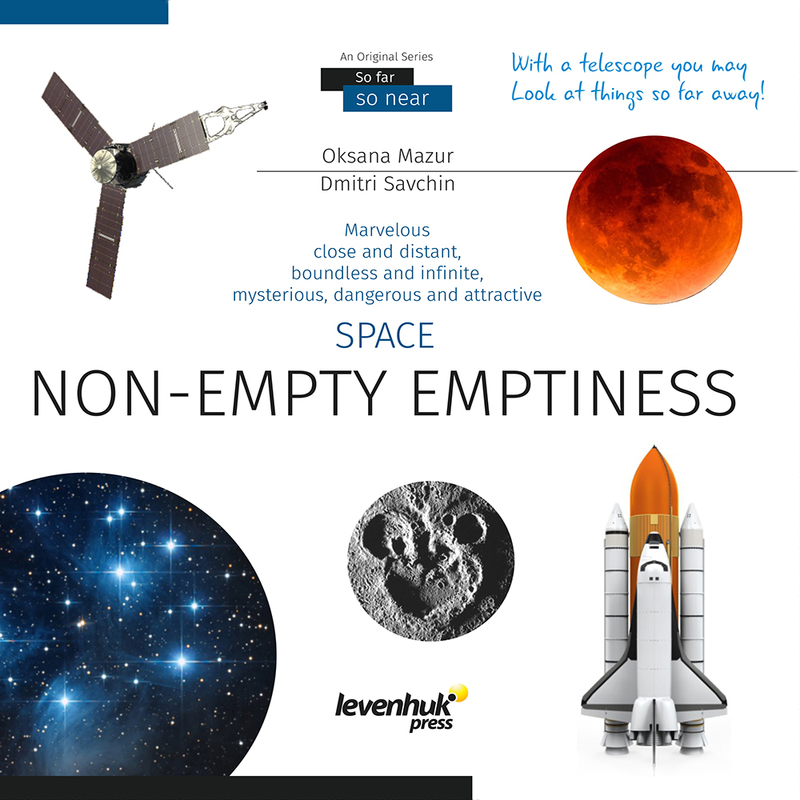 Non-empty emptiness" contains the most current knowledge of space, so it will be an excellent training tool for a young space explorer, or a primary or high school student. 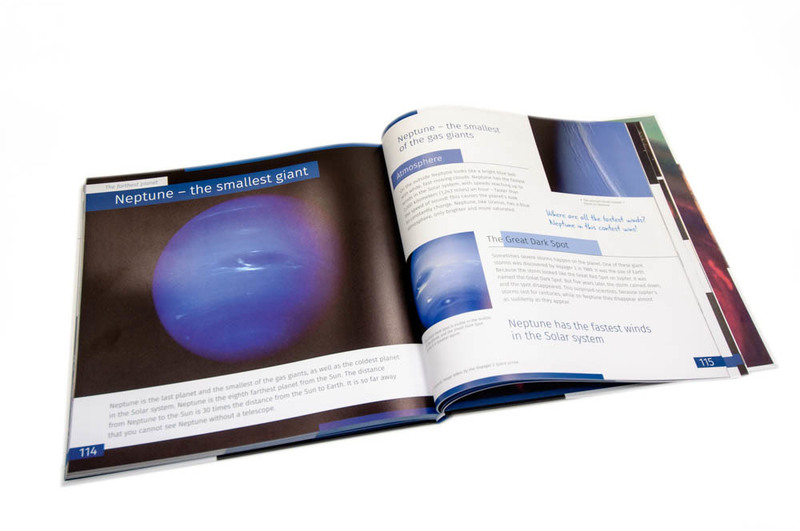 Recommended for children over 6 years of age.